ESO Supernova Exhibition — Can stars change their brightness? Can stars change their brightness? 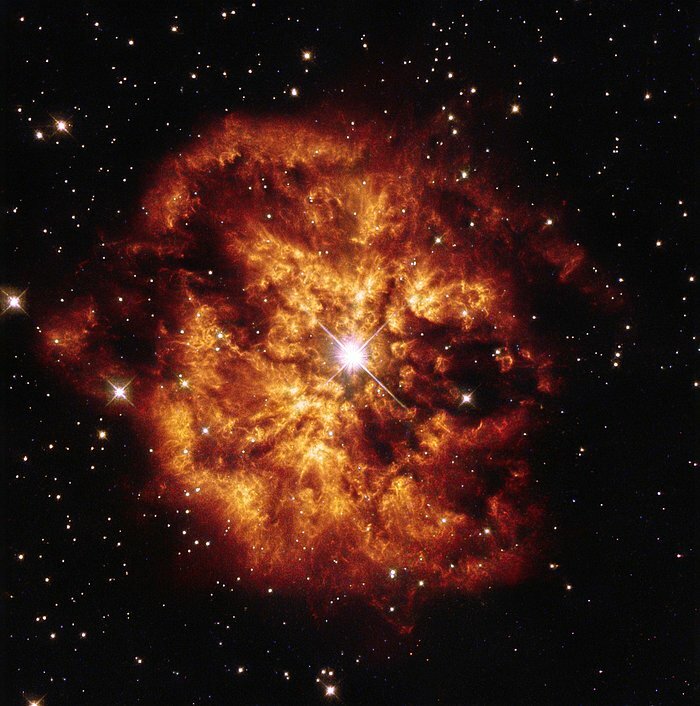 At the red giant stage in its life, a star starts to pulsate, causing regular changes in brightness. Other stars can undergo eruptions which change their brightness. Even the brightness of our own Sun is not always constant. Crying Wolf: Hot Wolf-Rayet stars, like WR 124 in the nebula M1-67, show large brightness variations, resulting from periodic mass loss. 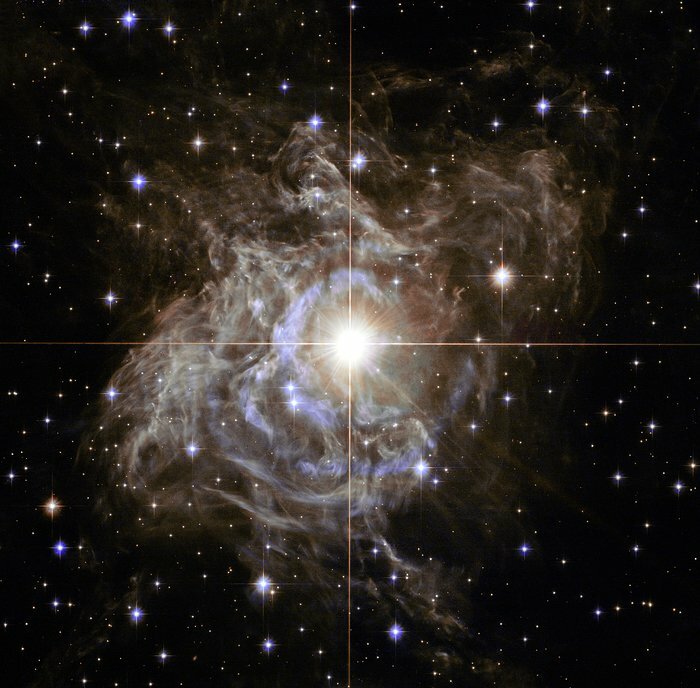 Taking the pulse: The star RS Puppis is a so-called Cepheid: its brightness changes because it expands and contracts periodically (every 41.4 days). Large star spots or bright flares can produce variations in a star’s apparent and actual brightness. Even the brightness of our own Sun varies by 0.1% in an 11 year cycle. When a star goes through an unstable phase, it starts to pulsate. Then the changes in brightness are big enough to be seen, even with the naked eye. 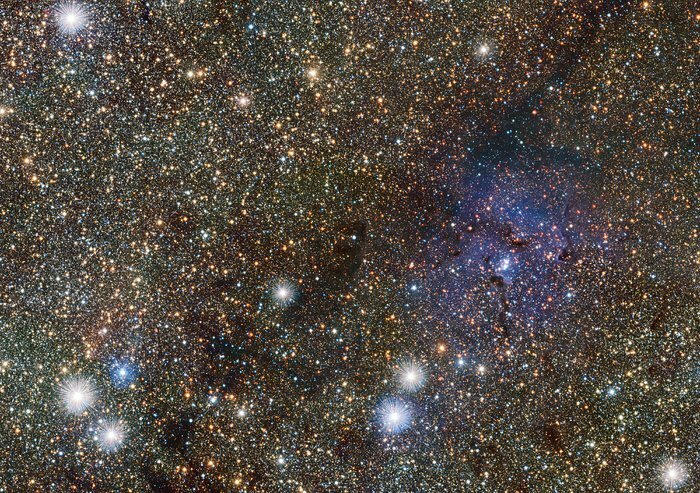 Delta Cephei is one such star. It is the prototype of a type of star called Cepheid variables. 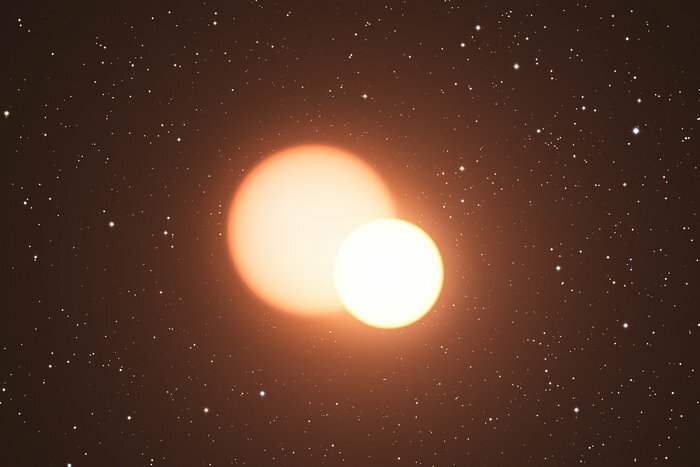 Not all stellar variability is intrinsic, though: the star Algol appears to blink because it is periodically eclipsed by an orbiting companion. 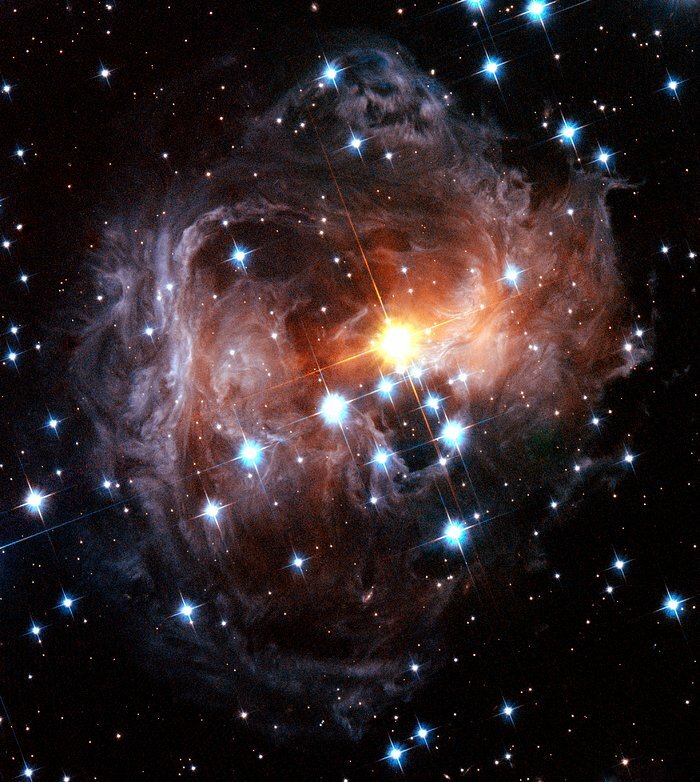 Cosmic fireworks: During an outburst in 2002, the star V838 Monocerotis temporarily became 600 000 times more luminous than the Sun. Brighter, fainter, brighter, fainter… Stars that change brightness are called variable stars. In most cases, it’s because the star grows and shrinks.